Last December, They Signed MoU with Persistant Foundation to set up a Solar Power Plant at Pune Railway Station. 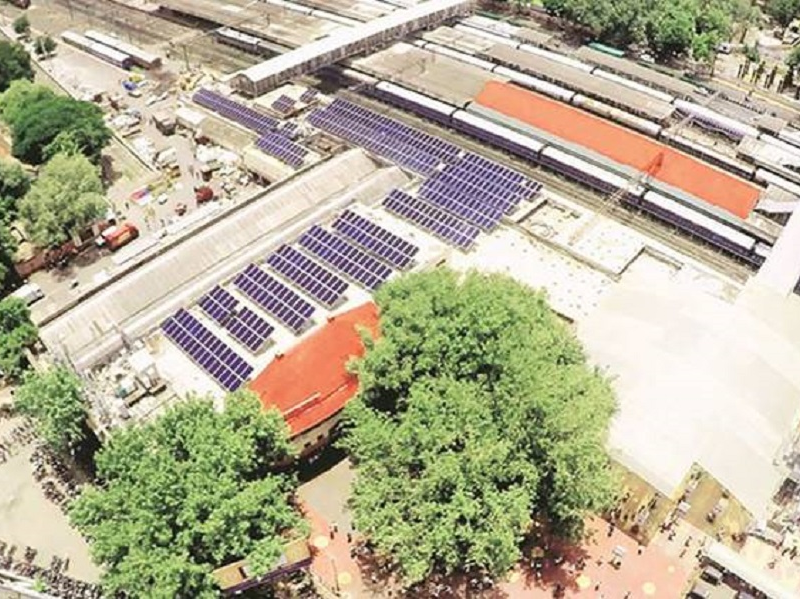 Last year in December, Pune division of Central Railways signed an MoU with Persistant Foundation to set up a Solar Power Plant at Pune Railway Station. The project is now completed providing clean energy to the station. Persistant Foundation invested one crore in the project and the entire design, engineering, procurement, construction, operation and maintenance of the solar power plant was done by Sunshot. With 600 photovoltaic (PV) panels (approx) mounted over the reservation counter and platform number 1, the PV solar system has a total capacity of 150 kWp generating about 2,20,000 units of electricity per annum. This will also save 225 tons of carbon emission annually contributing towards a greener future. The Indian Express reported that the system started functioning to its full capacity from July and reduced the electricity bill by Rs. 2 lakhs. The Railway Minister Suresh Prabhu will be inaugurating this project on 2nd September.